Bob Niederriter is an artist and composer who uses a vast assortment of colors and textures to create unexplored universes for the listener. His playing, which shows a definite personality, has a melodic clarity that is pleasing to the ear. Bob Niederriter is a jazz artist. 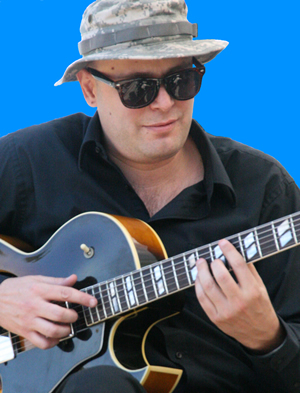 He is a composer, guitarist, and arranger who has studied and performed with some of the great artists in jazz, and modern classical music pursuing excellence in the field. He has immersed himself in the music, while seeking inspiration and instruction from the masters, including attending, working, and graduating from, The New School Jazz Program in NYC. His Trios and Quartets have performed at many venues including Blues Alley in Washington DC. Bob Niederriter’s CD, Full Circle has been featured on NPR, WBGO, Jazz After Hours with Jim Wilke, and SmarTV from Tri-C to name a few.